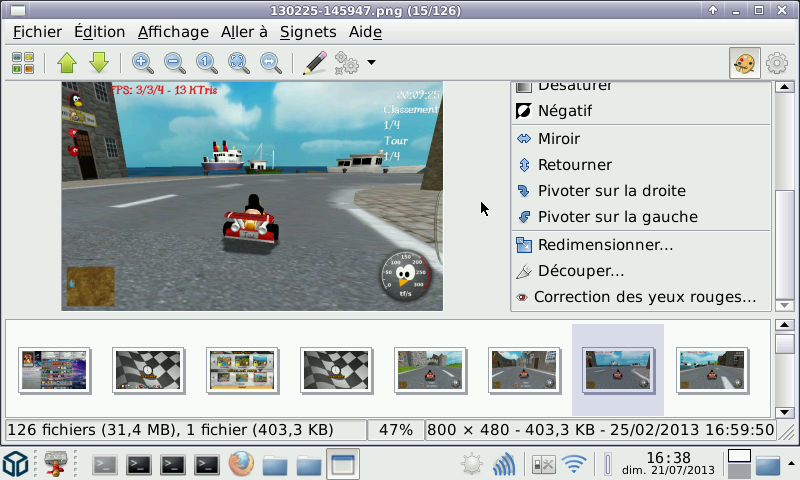 gThumb is an image viewer and browser for the GNOME Desktop. It also includes an importer tool for transferring photos from cameras. * View single images (including GIF animations). Supported image types are: BMP, JPEG, GIF, PNG, TIFF, ICO, XPM. * View EXIF data attached to JPEG images. 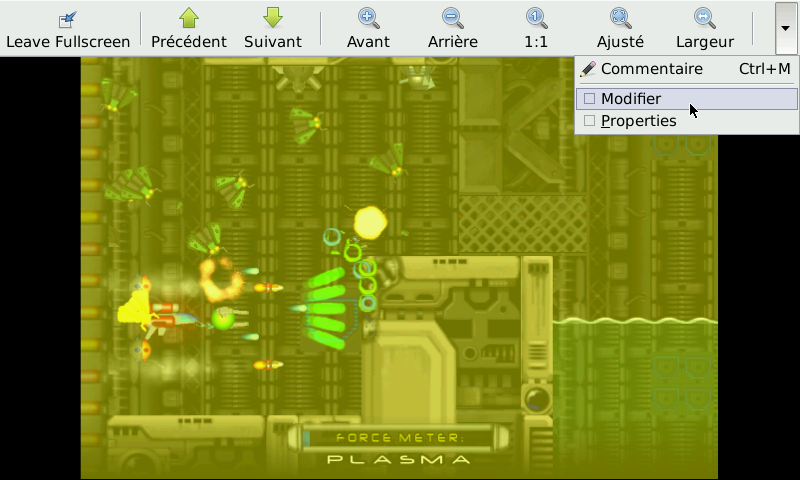 * View in fullscreen mode. * View images rotated, flipped, in black and white. * Browse your hard disk showing you thumbnails of image files. * Thumbnails are saved in the same database used by Nautilus so you don't waste disk space. * Automatically update the content of a folder. * Copy, move, delete images and folders. * Bookmarks of folders and catalogs. * Add comments to images. * Organize images in catalogs, catalogs in libraries. * Print images and comments. * Search for images on you hard disk and save the result as a catalog. Search criteria remain attached to the catalog so you can update it when you want. * Change image hue, saturation, lightness, contrast and adjust colors. * Scale and rotate images. * Save images in the following formats: JPEG, PNG, TIFF, TGA. * Import images from a digital camera. * Set an image as Desktop background. * Rename images in series. * Change images date and time. 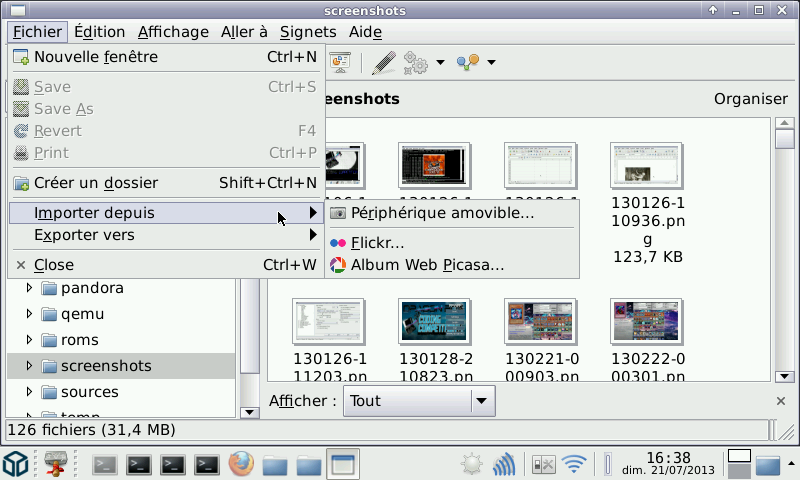 Here is gThumb, an Image Viewer and Browser for the GNOME Desktop. Note that in build 01, I haven't tested most of the advanced functions. * many locale integrated. My pandora is French, and so are the screenshot, but many languages available.